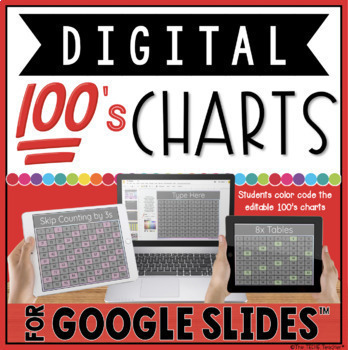 This resource features two 100’s charts that can be duplicated over and over for all of your needs and can be used on Chromebooks, laptops/computers and iPads. 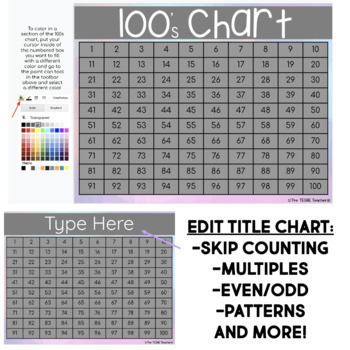 One chart has the title “100’s Chart” at the top while the second one has a completely editable title. 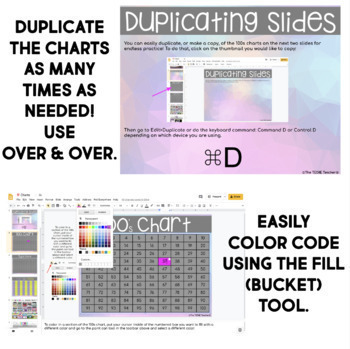 Both have an editable hundreds chart that can be color coded using the fill (bucket) tool. You could also opt to change the color of font for the numbers. 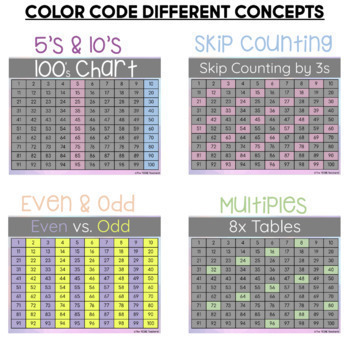 Students could create a digital multiplication book in which they color code the multiples for each times table. You could also play guessing games as a class. Or, since the charts are editable, you could delete some of the numbers, assign the files to students and have them fill in the missing numbers. So many options!